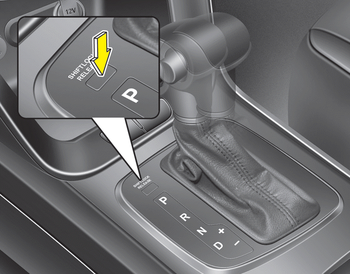 The paddle shifter is available when the shift lever is in the D (Drive) position or the sports mode. The paddle shifter will operate when the vehicle speed is more than 10km/h. When the vehicle speed is lower than 10km/h, if you depress the accelerator pedal for more than 5 seconds or if you shift the shift lever from D (Drive) to sports mode and shift it from sports mode to D (Drive) again, the system changes from manual mode to automatic mode. 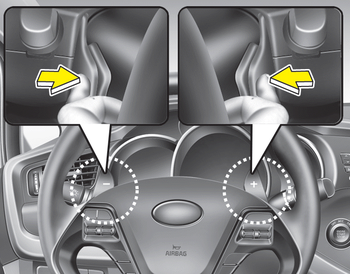 If you pull the [+] and [-] paddle shifters at the same time, you cannot shift the gear.